Buy cheap UK train tickets online here from £1.00 only, every time you travel by following these easy steps. Learn how to get cheap train tickets to any destination in the UK. You can travel within the UK and pay up to 80% less than the standard train ticket rates every time you take the rail. If you are travelling between two cities in the UK, you can save even more, by taking the UK's cheapest train travel service provided by Megatrain. From £1.00 only (plus a booking fee of £0.50p), you could take a train from London, for example to Aberdeen or Cardiff or Birmingham or Manchester. Megatrain provides only inter-city travel options. Book your MegaTrain ticket here. If you are travelling within a town or city on the other hand, you can get cheap UK train tickets and save loads on your transportation cost. Follow these top tips to do just so. Most train companies operate a three-tier fare pricing system. Journeys are planned and tickets are agreed for routes and places about three months ahead of time. Tickets are then earmarked as cheap or discount tickets, then standard tickets, and first class tickets. The first or cheapest tickets for a particular route are sold first. Once that group is sold, they move on to the next batch - standard and then the special tickets and first class tickets. If you buy your ticket in advance, you get huge discount, up to 70% from the first 12 weeks, and savings go down till the day of travel. So, to get cheap UK train tickets on any route, buy advance train tickets from as early as you know you will be travelling as far back as twelve weeks. If you miss out on the advance ticket option, you still have up to the night of your travel to get cheap train tickets. Just buy online, or call the train station and buy over the phone. You can get advance train ticket from The Trainline. 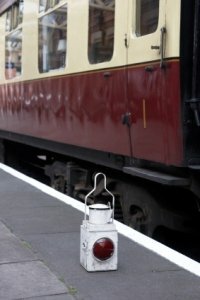 They are a fully impartial rail ticketing company providing tickets on all routes and all train operating companies in the UK and you can save from 43% if you book online compare to at the station on the day of travel and up to 70% on your train ticket if you buy in advance and in good time ahead. Whatever your age or status is, you can get a railcard to suit you - well, most people would qualify for railcard. With railcards, you can save a further from 30 to 60% on the cost of a standard train ticket. You can also use your railcard to buy discount train tickets or early tickets and save even more on travel. These are also called 16 - 25 year old railcards. With this card, you pay an up front fee of £25.00 for the card, and then save up 30% on the cost of your journeys for the whole year. It takes a just a few journeys (sometimes just one journey) to recoup the cost of the railcard, and then enjoy travel on train for less!You can also get this card even if you are more than 25 years old, but still in full time education. With the family railcard, up to four adults with four children (aged 5 to 15), and all not necessarily related, can get discounted ticket (30% off the adult rates, and 60% off the children fares) to travel. This will be hand if you planning a trip as a family to see a show or place together. Off course you can use this also for any journey. If you are 60 years and above, you can save a third on standard tickets by using this railcard. The disabled person railcard will bring you and another adult (only if you are disabled) a savings of 30% off your train ticket. Network Railcard. The Network railway card is a great discount card many passengers on the UK railway system do not avail themselves of. It gives you 1/3rd off the cost of your train journey and also allow you to have up to 3 adults travelling with you get 1/3 off their tickets. That is 30% saved by each of you. Add this to savings you get from applying the other tips on this page, you can see how far your money would go on your next trip. You can get more information on Network railcard here. If you are not under tremendous time pressure to leave to your destination before 9:30am, buying your train ticket to start from 09:30am on Mondays to Fridays will greatly reduce the cost of your journey. So too is travelling after 6pm in the evening. So, if time is not an issue, rescheduling when you leave from the first train station to be outside rush our or peak hours will bring some money into your wallet. Literally. Apply all the above tips or a combination of them and see yourself spending less on your UK train journeys, every time. We hope you find these helpful in getting you cheap UK train tickets to your destination and find train travel more appealing without breaking the bank. Return To Home Page From Cheap UK Train Tickets Page.